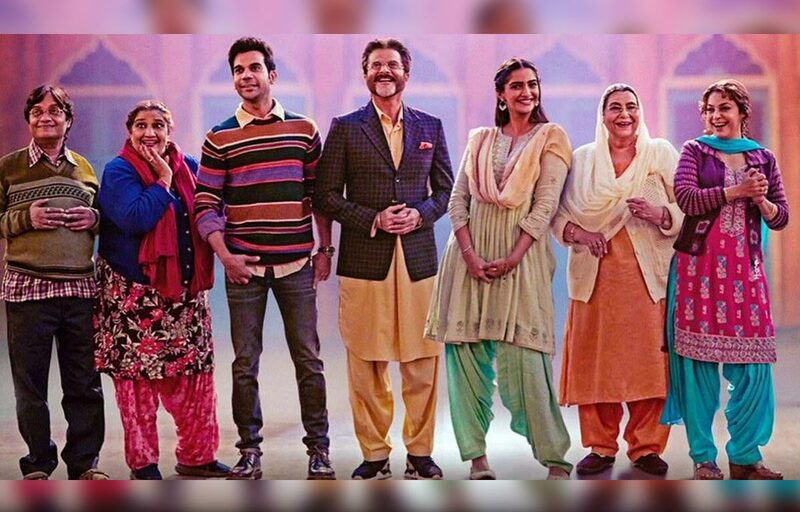 At the outset, Ek Ladki Ko Dekha Toh Aisa Laga is primarily a simple love story but there is a lot of subtext and undercurrent in the story which revolves around Sweety Chaudhury (Sonam Kapoor), who hails from an influential family in Moga in Punjab, her father Balbir Chowdhary (Anil Kapoor) who is a rich garment businessman and a struggling playwright Sahil Mirza (Rajkummar Rao). The major hitch is that while Sahil instantly falls in love with Sweetie at first glance, you come to know that Sweety is a lesbian Kuhu (Regina Cassandra) who is going around with has a secret of her own. Without sermonizing, it is a film about hope for an uninhibited free world where one is free to love, and to be loved by whoever they want. Whether you love a man or a woman, it doesn’t matter; it shouldn’t because love is something which one should set free. While kudos to Sonam Kapoor who has rendered her best ever performance in a complex role and extracts your sympathy, Anil Kapoor scores as a boisterous father who has a knack of trying out new dishes as a wannabe chef. Veering on formulaic writing, he is shown as a widower while a widow Juhi Chawla is shown entering his life in order to create a romantic spark in his life. Juhi Chawla does well in her part and to use her own words in the film is well, really mind shattering. Her comic timing is still intact and as aforementioned, it was great seeing her chemistry with Anil Kapoor after ages. Rajkummar Rao does well as a catalyst to help Sweetie win her love. Unfortunately there is no chemistry between lovers Sweetie and Regina thanks to a flaccid screenplay. Abhishek Duhan, who plays Sonam’s brother, Madhumati Kapoor, who plays her grandmother and the ever dependable Brijendra Kala excel and leave an impact, while Seema Pahwa as the household cook has no scope to prove herself. Though it must go to the credit of the writer-director that she succeeds in bringing a still niche and taboo subject like homosexuality, to a mainstream movie, the progressive theme and emotional quotient of the movie, help it rise above a screenplay that lacks sheen.